To come with me to Cairo while running BioMAP, my wife Hilary gave up her job running the Derbyshire Community Foundation, which she had built up from nothing to an endowment of £3m in 9 years. She decided to start a PhD looking at the South Sinai Bedu and the way they were coping with the advent of the modern world and Western conservation (in the form of the St Katherine Protectorate enclosing their land). After the end of BioMAP, I returned to concentrating my research on South Sinai, but, stimulated by Hilary's study of the social impacts of conservation there, I adopted a more people-centred focus. Hilary has 25 years' professional experience of community development, 15 of them in the global Community Foundation movement; in 2011 she successfully completed her PhD (at Manchester University) on the impact of conservation and development on the Bedu of South Sinai. In it she described the changes they have gone through, and the role played by conservation in their current situation. 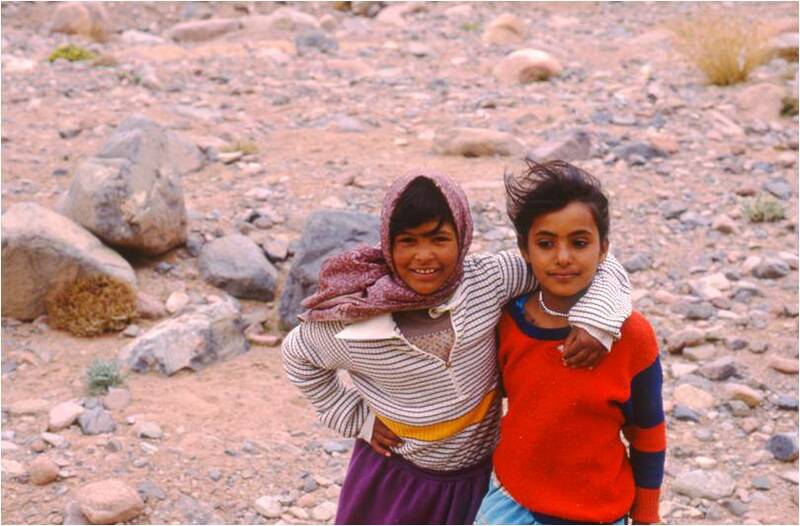 The 1967 Six Day War resulted in intense transformation and intervention in the lives of its indigenous bedouin population, first by Israel and then by Egypt. Before 1967 core bedouin livelihoods were agropastoral, but sedentarization and economic change made them uneconomic, increasing people's dependence on paid work. Since 1982 Egyptian policy has focussed on 'egyptianizing' Sinai and exploiting it through its tourist industry. Both processes exclude Bedu, who have become a marginalized minority. Overgrazing narratives attribute vegetation loss to Bedu, ignoring alternative evidence, and providing a rationale for their 're-education'. The impact of sedentarization upon bedouin livelihoods resulted in a 95% decline in flock size from the 1960s to the present day, and the loss of viability of pastoralism. There is growing polarization within bedouin society, and lower access by Bedu to most goods and services compared to the general population. The income of half the population falls at or below $1 per person per day; 80% of Bedu experience food poverty compared with 44% of Egyptians. Official data on Bedu are not collected, and their poverty thus ignored by planners. Bedouin identity is eroded by their inequality as citizens, and attempts to revalidate themselves as Bedu crystalize around dissatisfaction with the Protectorate: as an act of resistance, Bedu have 'reinvented' an identity as guardians of nature, just as their actual dependence on nature declines. We have tested the role of traditional bedouin practices in the conservation of biodiversity and ecosystem services. As nomadic pastoralists, Bedu have evolved resource management techniques to maximize returns from their meagre lands in two main ways: (i) managing levels of grazing inter-tribally for mutual use of territories, and intra-tribal helf agreements under 'urf (tribal law) to set aside fallow areas for specified periods of time; (ii) maximising water availability by tapping otherwise unavailable groundwater using wells within walled gardens to grow fruit trees and vegetables, and building low sand dams to retain runoff during flash floods. Once we have an idea of the way elevation, geology and water availability affect garden productivity and conservation value, and a model of future climate, we want to develop or revive crops and products that make traditional livelihoods ecologically and economically sustainable in today's conditions, including support for herding. There is already a very promising project working with medicinal plant collectors and traders, called Green Gold, working in just this way. The whole project will enable us to assess both the impact of socially-focussed conservation on the sustainability of local livelihoods, and on the biodiversity of this unique ecosystem.